This exciting new partnership will provide pro bono support to medical marijuana patients and help them navigate the complexity of medical marijuana laws. It’s no secret that Americans are witnessing the growing acceptance of medical marijuana within the United States. As of today, 41 states, along with Washington D.C., Puerto Rico, and Guam have all implemented some sort of medical cannabis program, and the remaining states to carry out these laws are not too far behind. Since legalizing medical marijuana is left up to the decision of the state, things can get a bit tricky when the medical marijuana laws of each state, or territory, vary drastically. Americans for Safe Access has recently partnered up with Orrick, a leading global law firm to provide pro bono support to medical marijuana patients and help them navigate the complexity of medical marijuana laws. 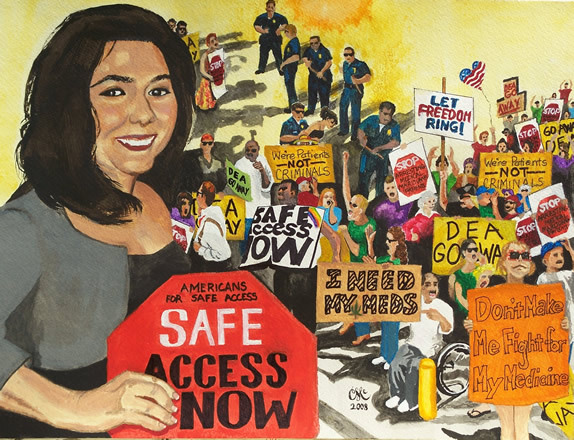 Who Are Americans for Safe Access? Americans for Safe Access (ASA), is the nation’s largest medical cannabis patient advocacy organization, helping patients gain access to medical marijuana for over a decade. Since each state, or territory, has its own medical marijuana laws, patients often get confused about the specifics of the laws, and ASA understands just that. A lot of the time, patients and their providers are uncertain about the specifics of their state’s medical marijuana laws, leaving them vulnerable to arrest, prosecution, and imprisonment. ASA has been known to offer medical cannabis patients legal support with pro-bono attorneys, public defenders, as well as providing thousands of patients with a toll-free hotline for any additional support they may need. Now, through its Patients’ Rights Project, ASA is being joined by Orrick, a global law firm, to help as many patients, most of whom are from low-income backgrounds, get the access and care that they need. Organized by ASA and Orrick, the Patients’ Rights Project has been set up to help protect the rights of medical cannabis patients around the country. Every patient will receive a state-by-state legal manual and a guide for the public defenders who are defending medical marijuana patients. In the fall, Orrick will be providing attorneys to support ASA’s legal hotline, which will not only serve the patients but will also help to keep an eye on the implementation of the state’s medical cannabis programs. While the harsh laws regarding marijuana are reduced, and as decriminalization catches on throughout the United States and the world, medical marijuana patients still face discrimination in employment, health care access, housing, and parental rights. Unfortunately, the trouble that these patients face won’t just go away. Now, the ASA and Orrick are in the fight together to make sure that these burdens are diminished so that patients can receive the care and support they so desperately need. Do you think ASA and Orrick’s partnership will be effective? Let us know on social media or in the comments below.